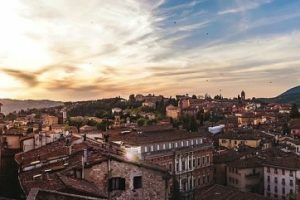 A three-day conference hosted by the Dipartimento di Scienze Politiche, University of Perugia, Italy in collaboration with the Genealogies of Knowledge project. Confirmed speakers include: Mona Baker, Nicole Doerr, Fruela Fernandez, Lynne Franjié, Guy Rooryck and Lieve Jooken. Translation, both in the restricted sense of interlinguistic rewriting and the broader sense of a set of cultural and political activities, has increasingly featured in studies promoting a critical understanding of the development of political ideas and of global history. The humanities and the social sciences have experienced a translational turn, and are increasingly using translation as an analytical concept rather than merely a metaphor designating shifting disciplinary boundaries and cultural encounters in contemporary societies. Translation practices have played and continue to play a key role in a number of social and political fields. It is through translation that political concepts emerging in one cultural environment travel to other spaces and impact intellectual and social debates in new contexts. Intergovernmental diplomacy has often been conducted through translation, and social and international conflicts are often mediated, assuaged, or exacerbated through translation. Translation remains one of the main vehicles through which globalization processes are enabled; it operates at the interstices of military, economic and cultural power. Both governmental and non-governmental agencies, as well as international entities such as the UN and the EU, rely on translation for the dissemination of information as well as for purposes of intelligence and propaganda. Translation also plays an instrumental role in new(s) media, and hence in circulating or resisting alternative narratives and ideologies. The official languages of the conference will be English, Italian and French. Abstracts of 300 words, accompanied by 3 keywords, should be submitted in any of these languages by November 15th, 2018. Please click on the link to the conference website above to find out more about confirmed speakers, abstract submission and registration options.